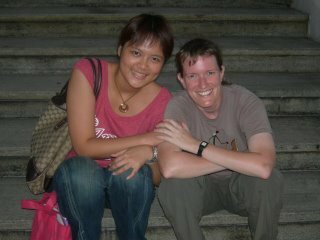 Nicole and me, on the steps of the Chiang Kai-shek Memorial Hall. She met us in Taipei for sushi, and then came with us to the Shi Lin night market. That was a late night, but quite fun. See my tan - I'm almost as beautiful as she is!